Use the form below to inquire about Charming Concept Resort at Saligao . Use the form below to reserve for Charming Concept Resort at Saligao . Luxury Rooms have antiques and hand-picked furniture, large bay windows overlooking the courtyard with the swimming pool and a balcony with outdoor seating. Each room has a walk in rain shower and stand-alone clawfoot copper bathtub. Premium Rooms are smaller than the Luxury rooms. It has antiques and hand-picked furniture, large bay windows overlooking the courtyard with the swimming pool and a balcony with outdoor seating. 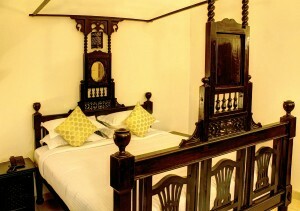 This Charming Concept Resort at Saligao, tucked away into a tranquil nook, away from the noisy Goa is a treasured find. 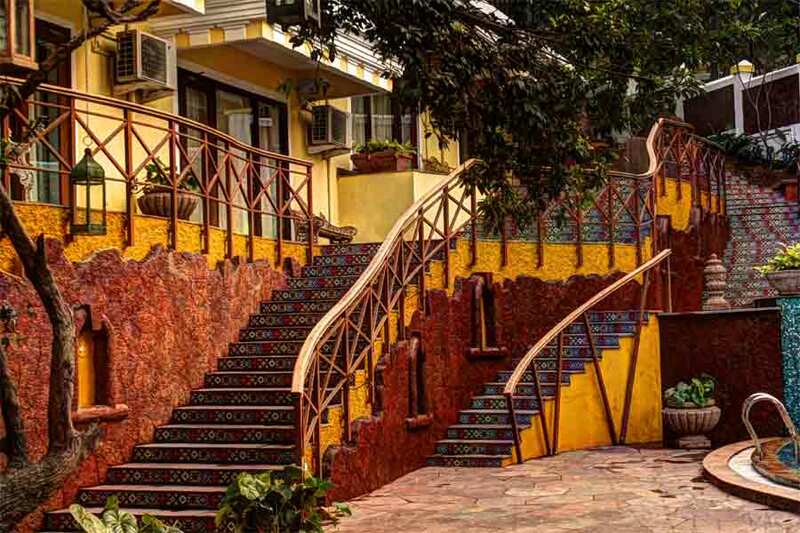 This property exudes character with its Indian traditional decor presented with a contemporary twist. A Bohemian mix of various show pieces that are an essential part of Indian culture, tradition, and art adorn every corner of this boutique hotel. This fusion of the old and new resonates throughout the interior decor. 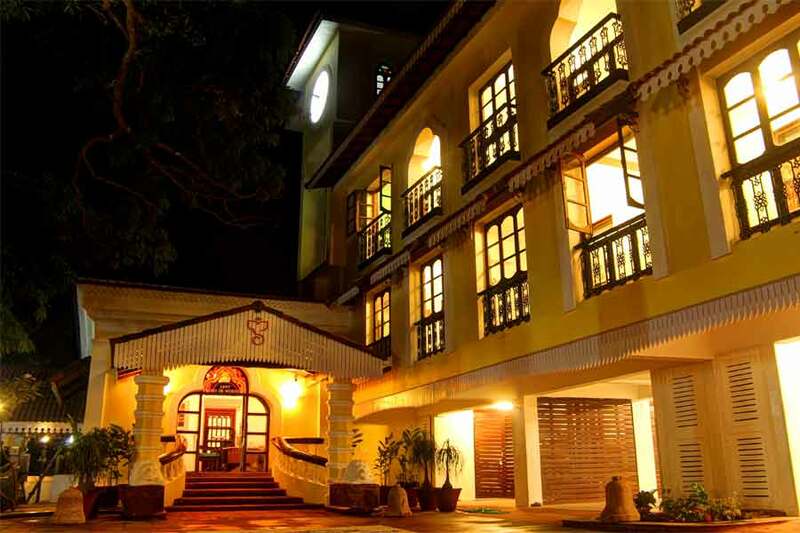 The exterior in this Charming Concept Resort at Saligao is an example of Portuguese-influenced architecture.This concept hotel has stood the test of time over the centuries. The property was initially constructed in 1897 and has been renovated over the past eight years, retaining many of the pieces from the old building. The most priceless antiques at the resort are an old foundation cross and a wrought iron grill, both of which were uncovered in the excavations and have been restored with much pride. Colorful old motifs have been reused to make new models across the building. The furniture in the resort is 300 years old. The rooms at this Charming Concept Resort at Saligao are set around a stunning pool amidst serene greenery and an artificial waterfall. 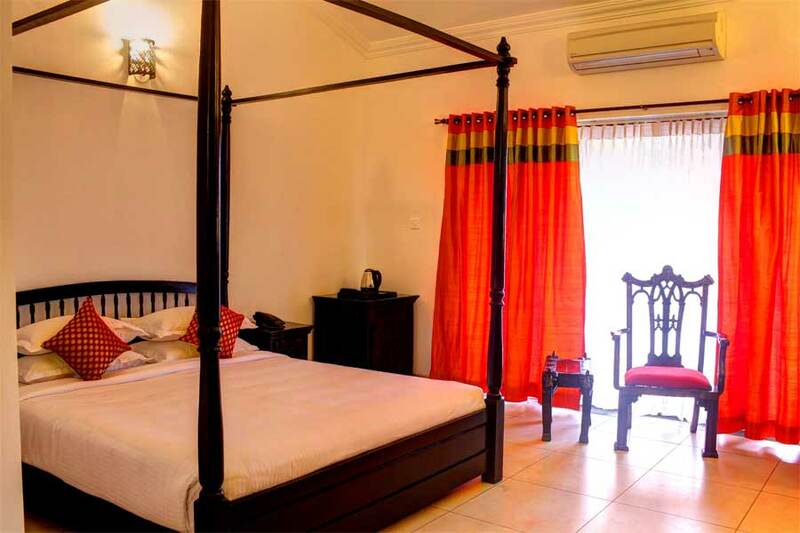 The premium, as well as luxury rooms here, are individually themed with centuries old antique furniture that takes you through time to a bygone era. The 500 sq ft luxury rooms are furnished with ethnic fabrics. Well-appointed rooms that have massive bay windows that open your views to the contemporary courtyard and the spectacular swimming pool. 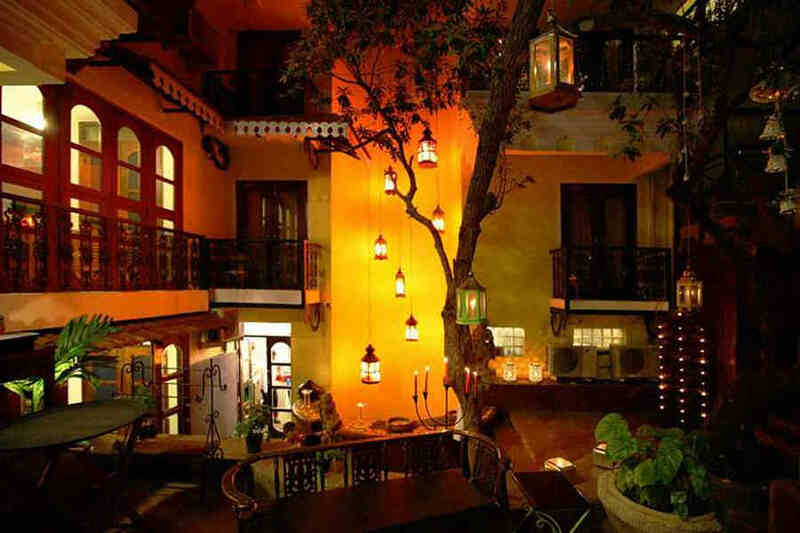 The balcony and outdoor seating is a stylish nook that enables you to rejoice with nature. 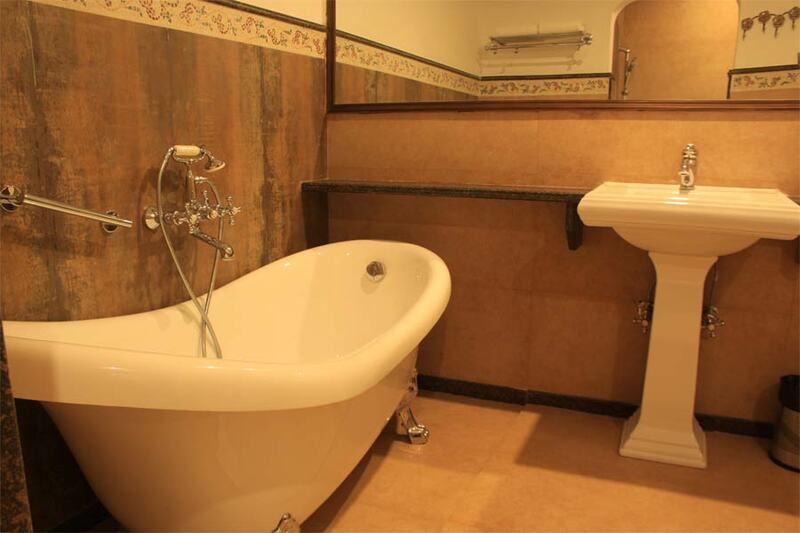 The rain shower and exuberant copper bathtubs in each room offer a remarkable experience. Instead of adding chlorine, the water in the swimming pool is cleaned using an ozone filtering system unique to the property. This resort has been the recipient of awards for the best boutique resort from various travel organizations. 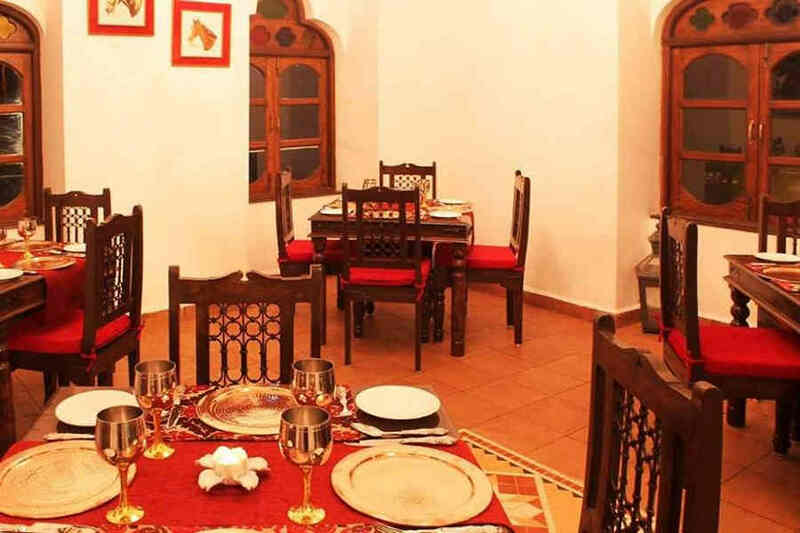 The restaurant, decorated with classic paintings and artifacts, dishes out traditional Goan favorites and continental delicacies. The live Tandoor counter here is an appetizing attraction. The lanterns and candles hanging around the restaurant create a surreal ambiance. Piped music plays in the background and makes for a classic combination with the fantastic settings. A Jacuzzi pool bar is available at the resort creating the perfect relaxation zone to unwind on bar stools immersed in the swirling water. Many themed lounges around this unique property provide relaxing nooks for every guest. Other services at this Charming Concept Resort at Saligao are a relaxing traditional Indian Ayurvedic massage center amidst greenery, a business center with fax and copying facility, laundry /dry cleaning, car rental, airport/train station pickup and drop, private fishing boat trips, and beach drops. Meals will be charged extra per head. The cancellations 14 days prior to their booking date will receive 100% Refund. 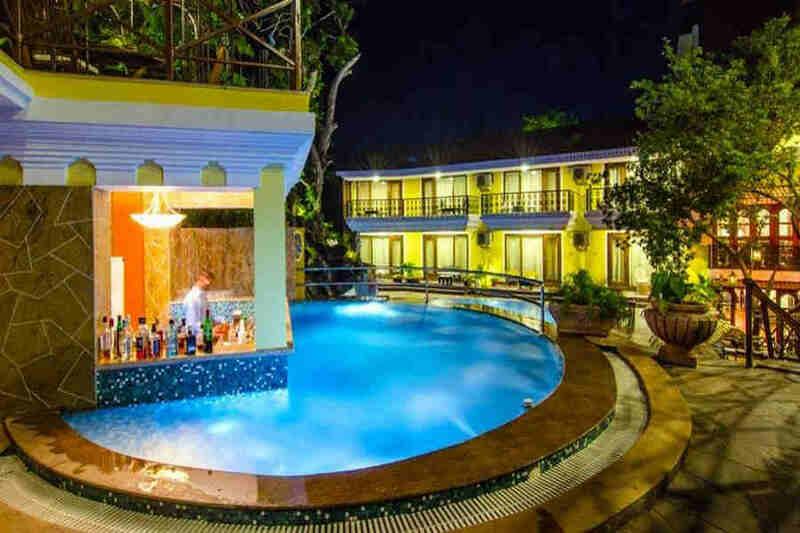 Enjoy the laid back ambience and luxuries of the resort by the pool, at the many themed lounges, at its classic restaurant and relaxing bar or at the soothing Ayurvedic massage center. You can explore the beaches of Goa by asking the resort to arrange tours. Goa is a popular destination because of its vogue beaches, spectacular churches, temples, delicious cuisines and classy music and arts. At Saligao, a gorgeous town known for its culturally enriched society, explore the one and only Gothic style church in Goa. Saligao is only about 3 km (appx 5 min) away from popular beaches like Calangute and Baga. Both these beaches have fabulous restaurants, many shopping lanes, and tons of beach activities like banana boat rides, paragliding, and water skiing. The weekly Friday market at Mapusa Beach is a roaring event. Local produce like spices, nuts, and freshly grown produce can be bought here at reasonable rates. Also, immerse yourself in the colors of the flea market at the Anjuna Beach. This market is a kaleidoscope of products from all over the Indian peninsula. 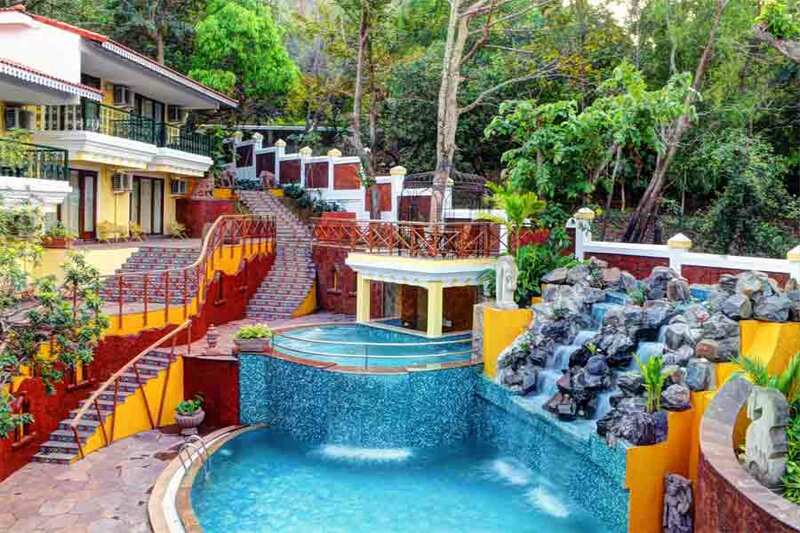 Apart from savoring the beach arena and frolic set out on to the villages where coconut trees and paddy fields create a stunning haven to relax. Visit the fishing village called Solin, located between Assagao and Anjuna. It is beautifully nuzzled between hills on one side and a river on the other. Fishing boats bring in fresh prawns, mackerels, crabs, and other catch every day. The rocky Dona Paula in Panaji is a stunning beach bewitched by a love tale. It is also the confluence of the rivers Mandovi and Zuari into the Arabian Sea. St. Augustine’s Church and Bom Jesus Basicila are a must visit in old Goa. A boat cruise along the Panjim River at sunset is a romantic experience. Dabolim is the nearest airport which is about 38 km (appx 1 hr) away. From Goa, take NH 66 and drive on this highway towards Panjim ( Panaji). After crossing Panaji, continue on the same highway till Pilerne. At Pilerne take deviation toward left on to the Chogm road. Drive west on the Chogm road to reach Saligao. Mangalore to Saligao is around 400 km (appx 8.5 hrs).